We stayed at this hotel for 2 nights at the beginning of our Geckos tour. At first, it was very difficult to find even though our driver called the hotel for directions. The room is less than basic and the sheets and towels were not very clean. It seemed as if there was a party going on in the room next to ours and they were very noisy late at night but the hotel didn't bother to do anything about it. The breakfast was less than basic. I think for this price you can find much better hotels. 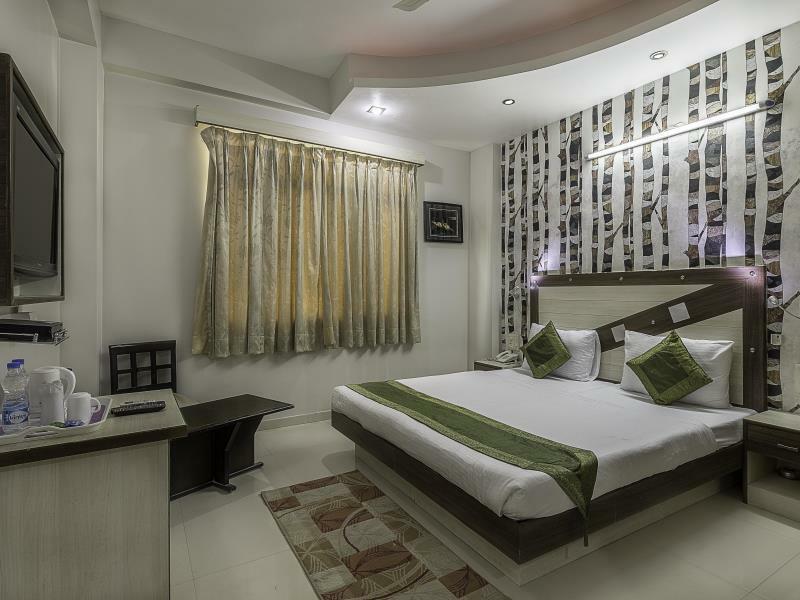 comfortable stay, very good location if you like shopping, the market at your doorsteps, staff is nice and courteous. good service. although hotel is good enough for stay but still would suggest some better maintenance of the baths. the stay was comfortable. rooms were average. best part was that the market is at the footsteps. Karol Bagh market where you can get everything for yourself, home, kids, and lot much more in reasonable price. the hotel needs to improve on the food part and maintenance part. Although rooms were good but a hotel needs better maintenance of the bath. Complementary breakfast is mere an eye wash. No basic things in the tray's. Better to book the room without complimentary breakfast. The hotel is tucked away in a lane and was really hard for the taxi driver to find. Thank goodness for Google maps on my phone! Anyway the staff were not very attentive - when we arrived at the hotel they continued sitting and having their conversation until I raised my voice then someone sauntered over to check us in. The lift was dodgy and the room was pretty dingy with the air-condition making alot of noise. Everything in the bathroom was rusty as well and there wasnt even a decent place to hang my towel. I will never come back here again. The room was OK, comfortable, clean. We booked a tour with the hotel. We wanted to see four places. But our young nepalese driver did not want to work and he lied to us the fourth place is closed at 04:00pm. This place was the Humayuns tomb that is open from dawn to dusk. In addition he said at the hotel we drove 15 km more than the 80 km we agreed. It is not true. But the hotel staff asked for money for this 15km too. Do not book tours with this hotel. In addition in the hotel we had to pay 60 Rs for 1 litre water that in the shop is only 20 Rs. 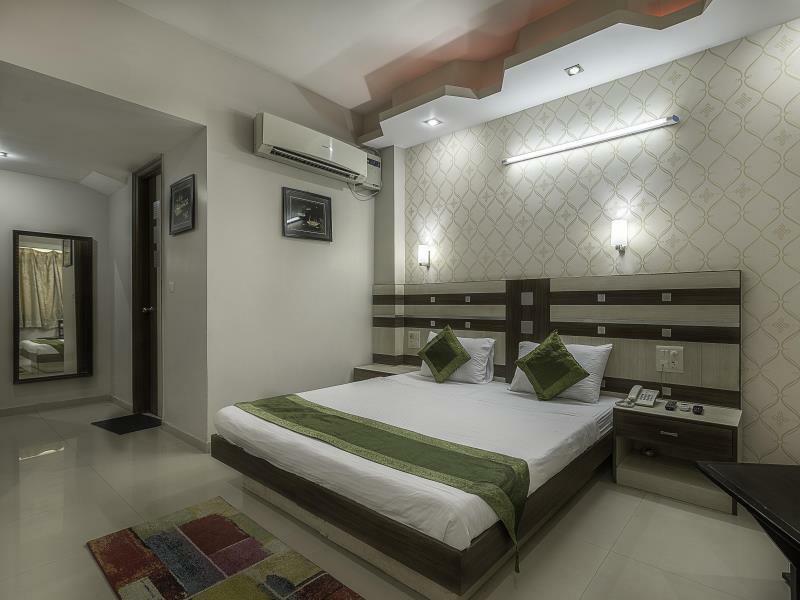 We had pleasant stay.the hotel is centrally located in one of the most famous market of new delhi, karol barg. Walking distance to the metro station. The room is neat and clean and the staffs are helpful. it was a decent stay and people were very helpful and kind. convenient for shopping, market walking distance, friendly staff. 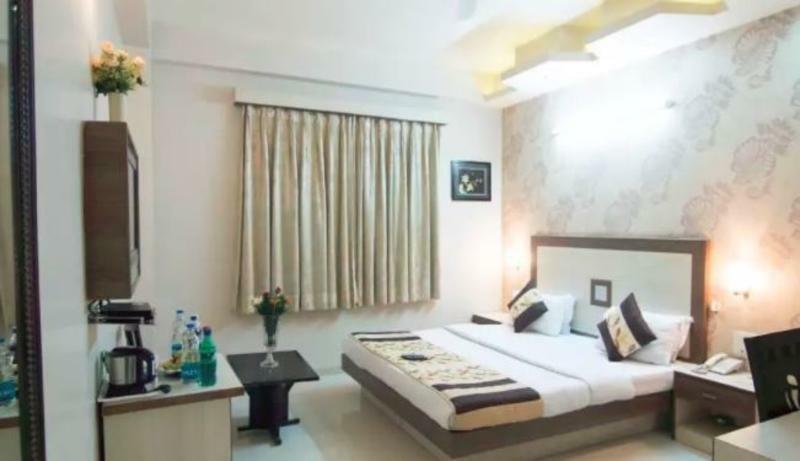 good hotel with great location in karol bagh. only 5 mins walk to the metro. staff were friendly enough and breakfast was ok. good base if you aren't spending a lot of time in the hotel. 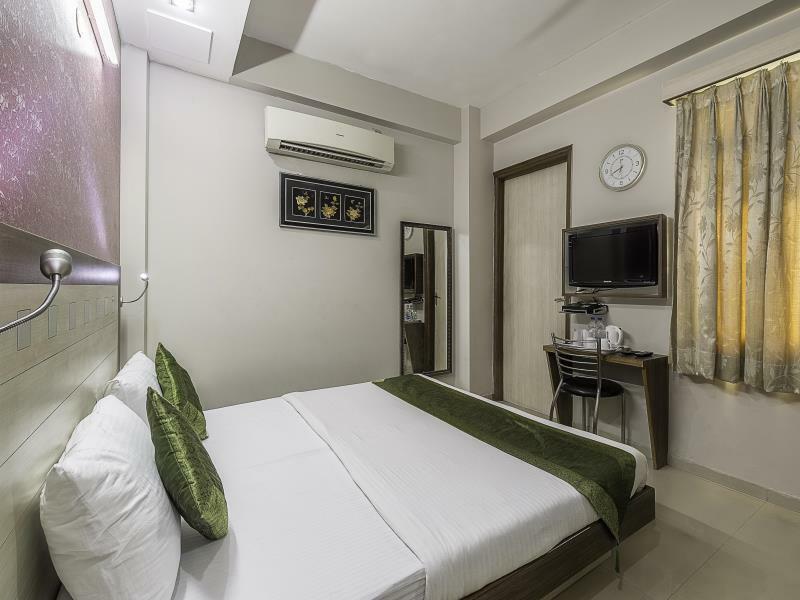 Very close to shopping area and metro, wifi available lobby and room. We stayed for 3 nights and everything went well. Location was great, few steps from shopping area where brands were available with a mixture of local indian shops. You name it it's available. Nice restaurants, cafes and very close to metro. Room was cleaned everyday and we had no issues with hygiene at all. Wifi was available everywhere.overall it was a great stay with no negatives. 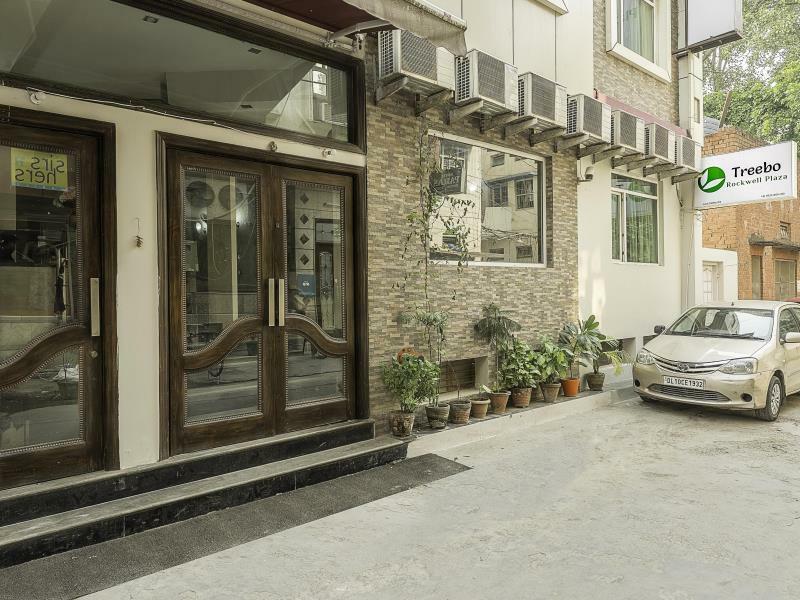 Hotel was in a good location in Karol Bagh. Metro station very close and restaurants and market just out the front. Room was ok. Lacked hot water. Would stay again if needed a cheap hotel in busy area. Hot water issue only down point. Near to many good shopping places in Karol Bagh area. There a good restaurant called Karim on Pusa Road. Metro station is on few mins walk. My room AC was leaking and they gave a another room which was even smaller than the first one. It is an just average hotel no much luxury. Yes you can say value for money only. Enjoyed our stay here. Hotel staff were very helpful and friendly. Breakfast was quite good for this price range but nothing fantastic. สถานีรถไฟใต้ดิน Karol Bagh - ระยะ 0.34 กม.